The BSA Gold Star was first offered before WWII as a celebration of BSA sending a 500cc bike around Brooklands track at over 100mph. 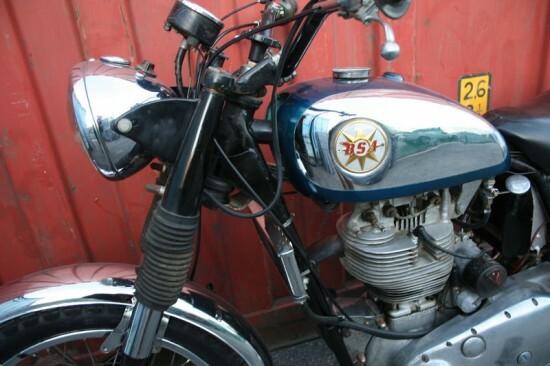 By the end of its nearly 30yr Gold Star run, BSA celebrated another victory on a island of the coast of California with a Gold Star Catalina model, and a 1960 model is offered on eBay now. Throughout American racing history, riders have had to take their motorcycles off the beaten path to compete. Races staged through the woods, across the desert and on dirt tracks have always been part of the AMA schedule. One rider who excelled on all surfaces was Chuck Minor, and during the 1950’s he rode for BSA. 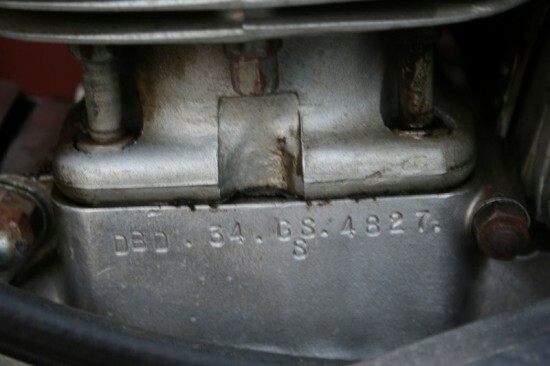 But to compete, he made changes to the DBD34 Gold Star they handed him. 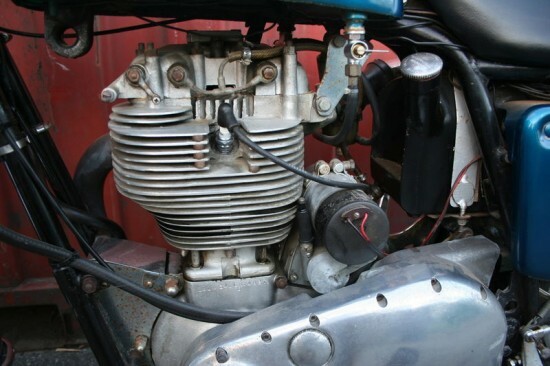 The engine would originally produce 42hp at 7000rpm with a top speed of 116mph with its huge Amal GP carb. But for races like those held on Catalina island, some work had to be done. Chuck added a larger tank so that he could complete the 100 mile race without stopping for gas. He also added a front brake plate with a scoop for better braking, and a smaller 19” front wheel for better control. With these changes he was able to win the 1956 Catalina Grand Prix. 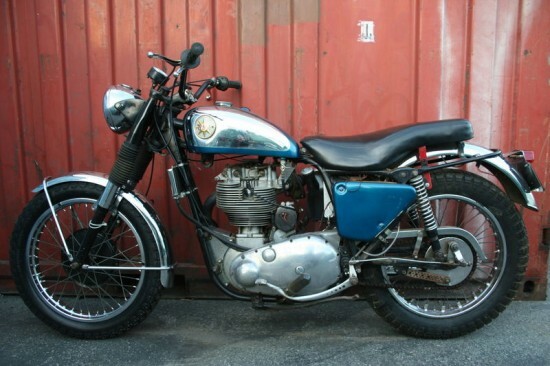 The West Coast distributer for BSA, Hap Alzina, asked BSA to build a replica to commemorate Minor’s victory, and in 1959 the BSA Gold Star Catalina’s were shipped. 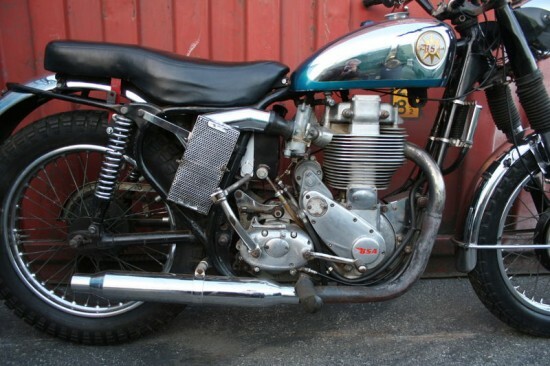 This BSA offered up on eBay looks to have had some additional modifications made. I see an oil cooler plumbed up front. 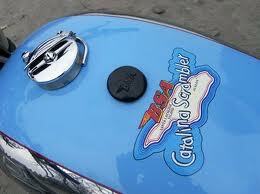 The GP carb has been replaced by a later Amal, and a large air filter attached. As the seller stats lights have been added, and possibly an aftermarket muffler. Catalina’s were offered as race ready bikes and would not have had lights, and would have had either straight through exhaust, or a megaphone of some type.